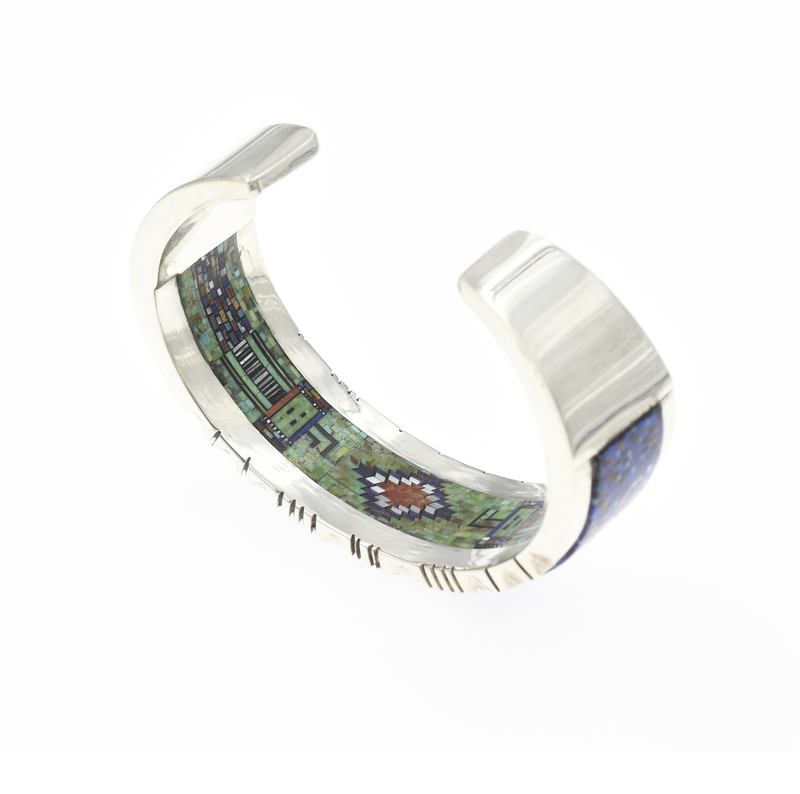 Carl and Irene Clark are fascinating because they use micro-fine inlay to create their jewelry. 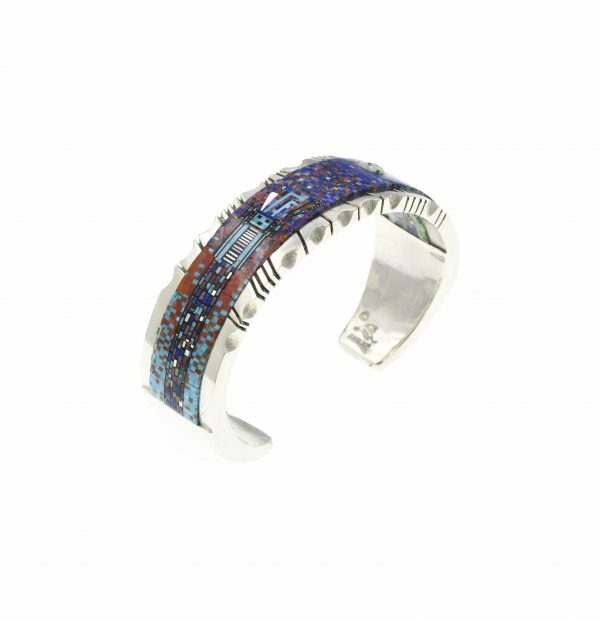 There is well over 8,000 micro cut stones inside and out on this bracelet. The Clarks are able to cut these stone with the precision and skill needed to then shape the stones into their design. 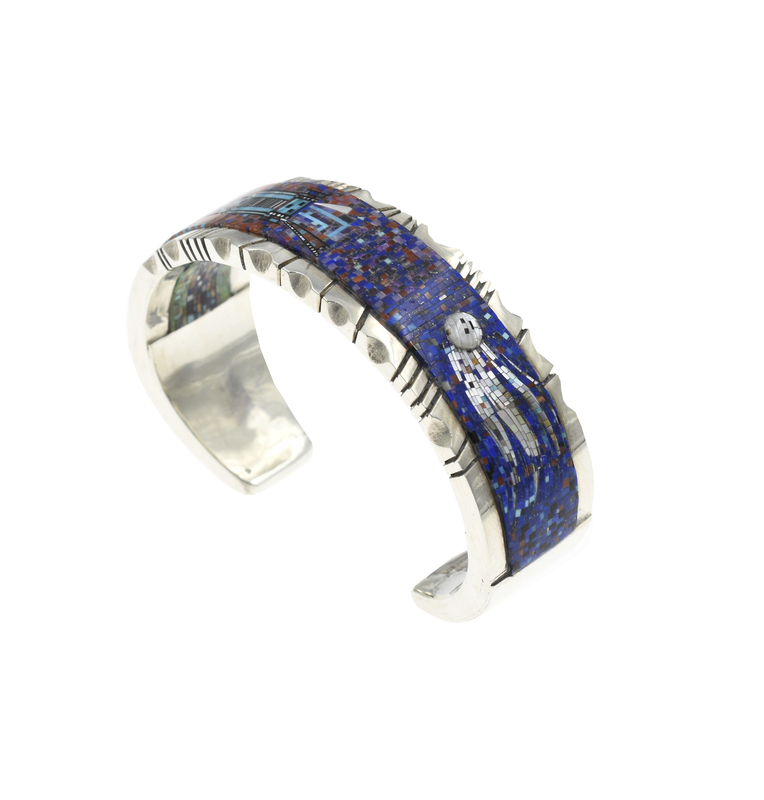 On the top of the bracelet, the wearer enjoys the Navajo Yei figure which is flanked by a passing comet in the night sky. On the inside of this bracelet, there are two Yei figure on the right and left side leaving the classic Navajo rug pattern in the center. 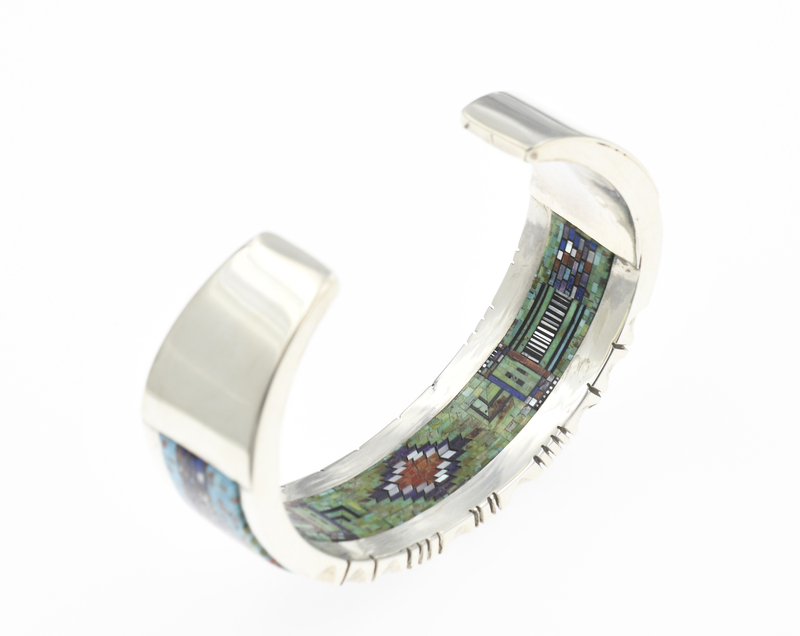 The materials used in this bracelet is sterling silver, turquoise, coral, lapis, jet, and mother of pearl.